I wrote this piece a few months ago and the publication I sent it to never published it. I forgot I had written this till an article I read the other day about the new documentary on The Avett Brothers. Then yesterday, two things happened that caused me to revisit this article. A terrorist attack that caused acrimony on social media before the dust settled. And an ugly fight between one of my former Seminary professors and a prominent writer and thinker. I still listed to this album a lot. not every day like I was but close to it. I need more albums like this in my life. Full of kindness and perspective about this all too brief life here on earth. We need more albums like this in our lives. Almost two months ago, my friend and I travelled a few hours to see a band in a run-down club. We saw this band live three years ago at a little festival in our hometown. Blown away, we swore we would go see them again if they came anywhere close. We got there early. There was only one row of people between us and the stage. The next band had a similar set up. This time it was two guys and the one at the drums sang. And he looked like he had been in a fight. And he had, as he told the crowd later. Their music was mosh-pit inducing and we ended up too close to the action. At one point, after I had to push a guy away because he began kicking the women (they looked like they had just come from a PTO meeting) next to me, he rejoined the melee of the mosh pit and then he or one of his moshing friends punched me in back of the head. This was one of those moments of clarity you only get a few times in your life. You cannot orchestrate them. They are just given by God. I had a moment of clarity in which I asked why, at 45 years old, I was in a place like this among music like this and people doing this. My friend stayed up front, but I spent the rest of the night at the back of the room near the bar, hoping the resulting headache would go away. I couldn’t really enjoy the band we came to see. maybe it was the girl doing drugs next to me in the back of the room. Or the one, who looked like an anime prostitute with an accountant. For the next two weeks, I don’t think I listened to anything except Jazz – Thelonious Monk, Coltrane, Brubeck, and lots of Louis Armstrong. I wanted everything to sound and feel as different as possible to the darkness and violence I experienced in that club. 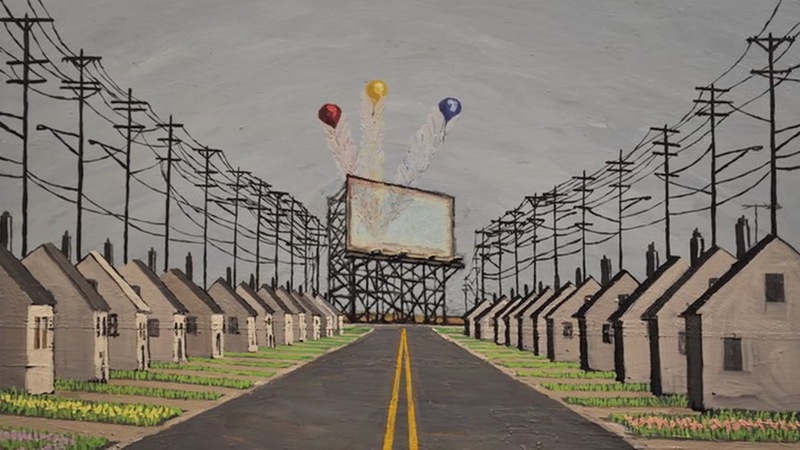 And then one day I was on Twitter and saw something about a new Avett Brothers’ video. Someone foolishly said this was the video we needed at this time. I took that statement as a reference to the weeks following the election and all the arguing and fighting. Rolling my eyes, I kept going through my feed. But then I saw it again and again. People kept talking about this video. My knowledge of The Avett Brothers was limited. I own a few of their albums but never gave them a whole lot of time. In my estimation they were the epitome of hipster music. “Ain’t No Man” was played regularly on our local radio station. Catchy, but I never really paid it much attention. I’m not sure why I gave in and watched that video on the Saturday morning before Thanksgiving. But after watching it only once, I agreed. “No Hard Feelings” is the kind of song we need. I watched that video again and again. And then the video for “Ain’t No Man” over and over. And I then went back to all the albums I did have and listened to them. And when I say listened to them, I really listened to them. I was not just being entertained, I was taking in their lyrics like literature to see what I had missed. And then on Thanksgiving day, thanks to a late birthday gift, I bought their new album, True Sadness. I have listened to it at least once every morning since. Tolstoy writes in What is Art?, ““Art should cause violence to be set aside and it is only art that can accomplish this.” Notice what he is saying and not saying. He is not saying that art does this naturally so much as art should cause violence to be set aside. In other words, art can and should be used to put violence aside so people can be kind to one another instead of mean and violent. My wife and I have been watching Ken Burns’ Jazz. And what strikes me every time I watch these stories is how Jazz musicians were at the forefront of setting aside racial hatred and being kind to each other regardless of skin color. The music was the vehicle to bring together not only musicians but fans. For even as our country was fighting against the racism of Germany, the military was segregated. But Dave Brubeck’s jazz band was not. The music was being used to set aside the violence of prejudice and replace it with kindness. And what has continually moved me as I listen to the Avett Brothers’ newest album – and all their other albums for that matter – is how kind the lyrics are. Their songs seem calculated to encourage and dignify not only their people but everyone everywhere. And this is done while at the same time showing a humility and recognition of their limitations and broken-down conditions. And the limitations of our own lives? I could be exaggerating, but the landscape of modern music for the most part wants us to be mad. About something. Anything. Maybe it has something to do with our desire to be under the tyranny of cool. Being mad and being cool have gone together since James Dean and Marlon Brando. The smirk and the sneer reign supreme. And a smirk and a sneer seem required in music these days. But this seems wholly missing from the The Avett Brothers. And not only in their songs but in them also. In interviews their kindness and humility is inescapable. The more I get to know them, the more likable they are. I also get the impression they would be the first to admit how much they fail at this kindness. And that consistency of kindness and generosity of spirit spills over into their fan base as seen on the Facebook page, Avett Nation. There you can sign up for Avett Mail and someone may send you everything from a CD, or a sticker or a handmade ornament. Or all of those. Why? because they enjoy the music and being kind with that enjoyment. There you can also donate to St. Jude’s, where Bob Crawford, the bassist’s daughter was treated for pediatric cancer. You can get encouragement in the form of lyrics. And those who cannot attend a live show encourage those are getting to attend. It would all be so very cheesy it if were not so rare and needed in this jaded world. The promises of fame and fortune are not to be trusted. When I leave this world, I want to leave it with no hard feelings and no enemies. The fear of confessing your love to another. Being an artist comes with a price. We live in a world where you can be a victim of anything. No matter how you slice it, divorce is painful. We are so small as we navigate this world of truth and lies and there is something bigger. In other interviews you will read of their love of great works of literature, all these books with a metaphysical bent. Tolstoy, Pascal, and Bonhoeffer. These are some of the most revered writers in the world. When I learned this about them, it left me in no doubt about the seriousness of what they are singing. In the stratosphere of their own hearts and minds, I think what they read is a witness. The songs above all are part of the great discussion about what it means to live wisely before God on this earth in the limited time we have. That’s how you get an album titled, True Sadness. This is rare air they are breathing and I am glad we get, through listening to these songs and singing along, to take in some of that air. My hope is that it makes me a better person as a result and not merely entertained. And that’s the whole point of the album, anyway. 1. In a culture of perpetual outrage, to buy into the belief our struggle is not against flesh and blood is not gonna be easy. 2. 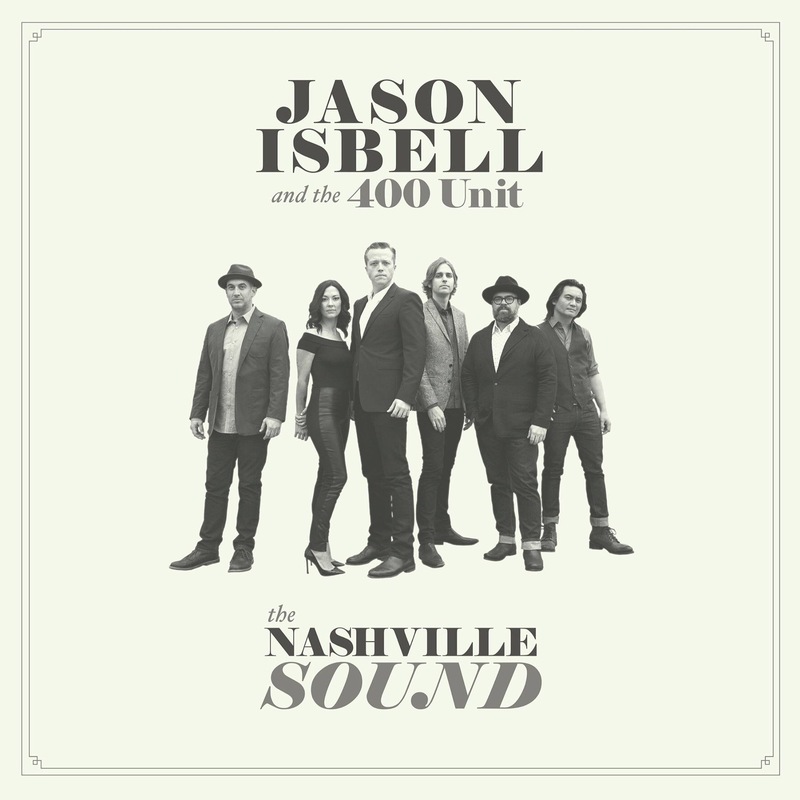 News of a new Jason Isbell album and tickets to see him at the Ryman are welcome news during a work week that made me want to listen to all his songs with the bad words. 3. I could be wrong but I think a sign of spiritual maturity is not wanting to argue on social media. 4. The steadfast love of the Lord is better than financial security. 5. The problem with baseball is how few games there are. 6. I was talking with my friend, Corey, the other night about music. He’s a musician, so these discussions are always interesting. I walked away from his insights realizing at least one reason why some songwriters are at a level of creating of life-changing art and others are not. You can trust them. People like Jason Isbell are rare. It is not mere entertainment or fame they are after. They are creating something from a place beyond the surface level of this culture. All their failures and weaknesses, skill and success are calculated toward creating something akin to literature for the ages. 7. Christians should be more offended by unkindness and gossip than by culturally-conditioned profanity. Far more. 8. Fantasy baseball draft is today, so I hope you have been using the prayer cards I mailed out, just so you know how to specifically pray for me and my team. 9. The new Tedeschi Trucks Band live album is mesmerizingly good. Joyous and full of transcendent moments. Adding to my enjoyment is it was given to me as a “Thank you” gift for my writing. That makes the listening so much more enjoyable. 10. There is a lot in life, when evaluated, seems off kilter. Out of balance. Something’s not right. But sitting at the dinner table with Bethany and the kids seems in place. Maybe that’s history. Maybe it’s a createdness we ignore. Not a command. But maybe like sunsets, we should pay attention to this. 1. I’ve never read a book like this. Whenever I read a new book, my mind flips through my memories like a Rolodex, trying to find some other book to compare it to. This book is no exception. But I kept coming up empty. I could think of nothing. This originality was a rare gift. 2. It is well-written. It is not easy to find well-written books by Christians. This is a scandal within evangelicalism. But Russ is a great writer and this book is so well-written, it may spoil you. If I can’t wait to pick up a book again but I dread finishing it, I know I’ve found a great piece of writing. 3. The subject matter is critical. Western Christianity struggles with its faith. That faith is informed by the Bible. And the Scriptures were written for the most part in the context of suffering. And our entire culture is calculated to move us away from suffering in any shape or form. We need this fact to be kept in front of our faces, which are lulled into forgetting our mortality in this Disney Land we reside in. Now there are a lot of books on suffering out there, but in this one, we get to walk though it with Russ. 4. This is an honest book. Honesty and authenticity are getting top billing these days. For good reason. We need more contexts in evangelicalism in which we can say, “You too?” And “me too.” You can’t do that without honesty, and sometimes honesty costs a pound of flesh. I appreciate his (and his wife’s) honesty throughout the book, which I am sure cost them. 5. Jesus is the hero. If you buy this book for no other reason, this should be enough. There are a lot of spiritual biographies and memoirish books in the Christian market. And they are honest and well-written. But few point to Jesus and his love for his people so well. 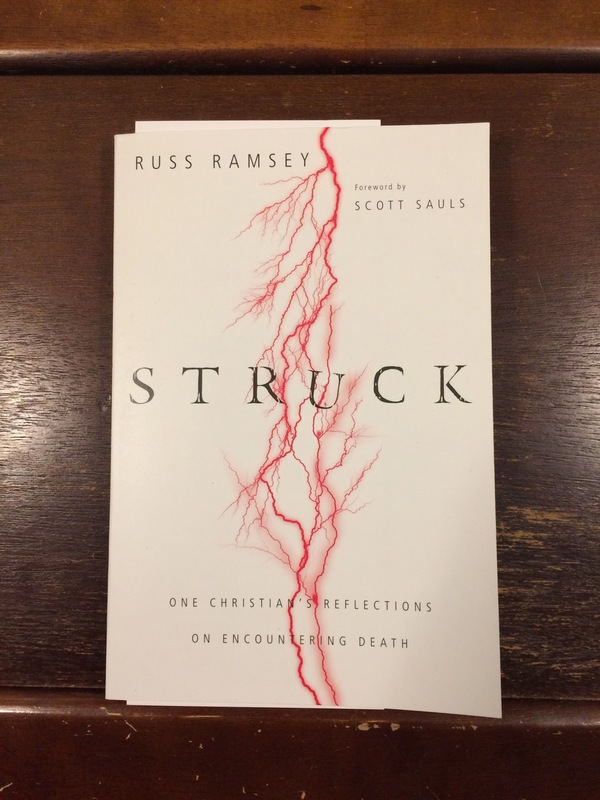 I walked away from this book knowing Russ better but thankful for Christ and his redemptive work more. I know Russ well enough now to assume this is what he wanted. 1. It is good news that the steadfast love of the Lord never ceases. Because so many of us have hard situations that either seem to never cease or will only cease when our hearts beat their last. 3. I assume the people incessantly posting politics on Facebook are the same ones that make sure I know all their opinions on the various issues with bumper stickers. I assume their political opinions and stances on various issues are accessories, like earrings and broaches. 4. This past Tuesday I spoke at a retreat and my time there was slow and relaxed. It was the opposite of every other Tuesday. And like a gift from God, full of grace and mercy. 5. I think people were under the illusion Disney cared about them more than money. 6. So there’s this series on Netflix called Captive. And each episode is the true story of people being held captive. Nothing prepares you for one of the stories being about someone you know. 7. I love the reverse echo of the resurrection in the laughter of friends. 8. I knew I hadn’t gotten enough sleep when I got choked up at my desk while listening to The Avett ﻿Brothers’ “Head Full of Doubt.” That “decide what to be and go be it” part. 9. My résumé reminds me of that lost Mars rover that disappeared into the blackness of space. 10. About to celebrate 18 years of marriage with Bethany. In the far reaches of my memories I can just barely reach a recollection of my life before her. But it’s not worth the effort. No day previous compares to our hardest day.